ABN Group - Products - Diagnostic & Healthcare - Nebulizer & Mask - Dr. Indra K. Muhtadi - "dokter plus"
Easy to operate with two buttons design. 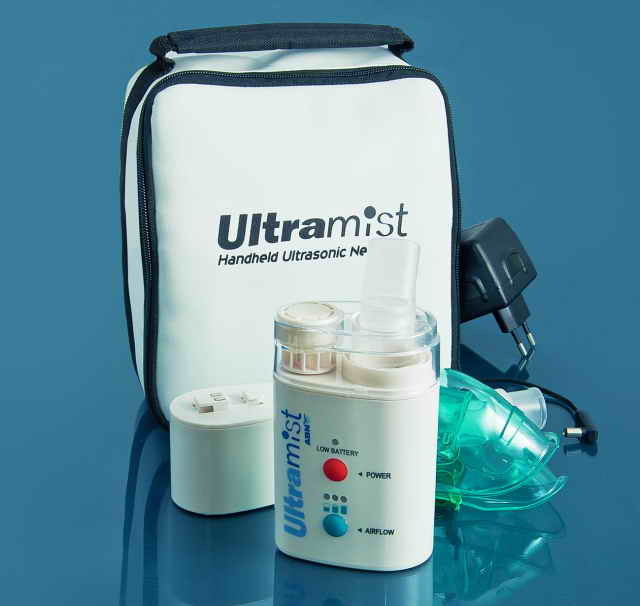 The unit produce particles size 1-5 microns and have three airflow control settings for optimum treatment. Atomization rate 0.2 - 0.7 ml per minute depending on medication density. Effectively delivered aerosol medication therapy with clinical accuracy. Portable, compact, easy to use and ideal for all ages. This self-contained unit is stylish, attractive, and, best of all–a reasonably priced alternative to the bulky compressors in the past. Highly functional system of home respiratory care. 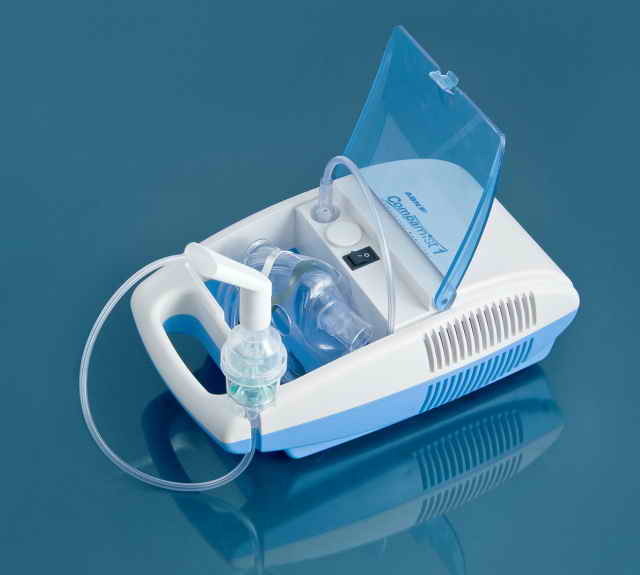 Includes compressor, Nebulizer cup, 17.75 cm air tubing, angled mouthpiece and 5 air filters. The perfect match for the Compamist Compressor Nebulizer. 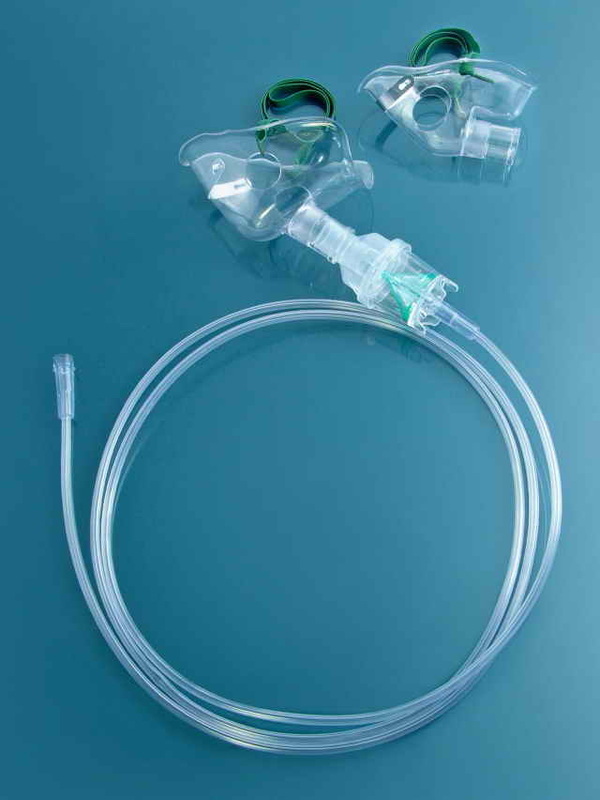 Comes with 205 mm clear Nebulizer tubing, Nebulizer cup and Nebulizer Mask. Soft and kink resistant PVC tubing with secure and easy connection. High quality medicine cup to assure the quality of mist and has secure lock to prevent spill. Good quality elastic strap to assure the patient comfort. Read NEWS & ISSUES about "Liquid Nebulizers"